At DMVLIFE.com we are dedicated to making your ideas come to life! If you have something you would like to be created down to every detail in your mind, or if you just have a title and you want us to come up with the design we will make it happen! Please read our frequently asked questions before contacting us. 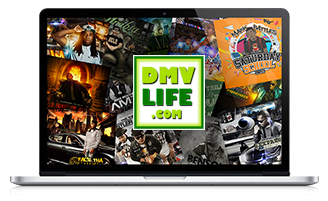 Send us your contact information and your design ideas to: Graphics@dmvlife.com. We will send you a confirmation email and get started. 2. Whats the turnaround time for a mixtape cover design? Depending on our current workload, the time may vary. It usually takes approximately one week to receive your first proof. 3. How does the payment work? We required full payment on all orders upfront and we only accept PayPal payments. 4. Do you email me the graphics? Yes, and we also send them though the mail. The files we send to your email will be the exact file size and resolution needed for print and/or the web. In addition, we also send you the back up files on a disc directly to your doorstep. 5. Can you design something for me first, and if I like it, I will pay for it? No. Our graphics are made from scratch and can take hours to create and design. 6. Do you print also? No, we just design the graphics. 1. Do you have any specific requests/ideas for the project? 2. Provide any information that may be pertinent about your product/service. 3. What is your timeline for this project?